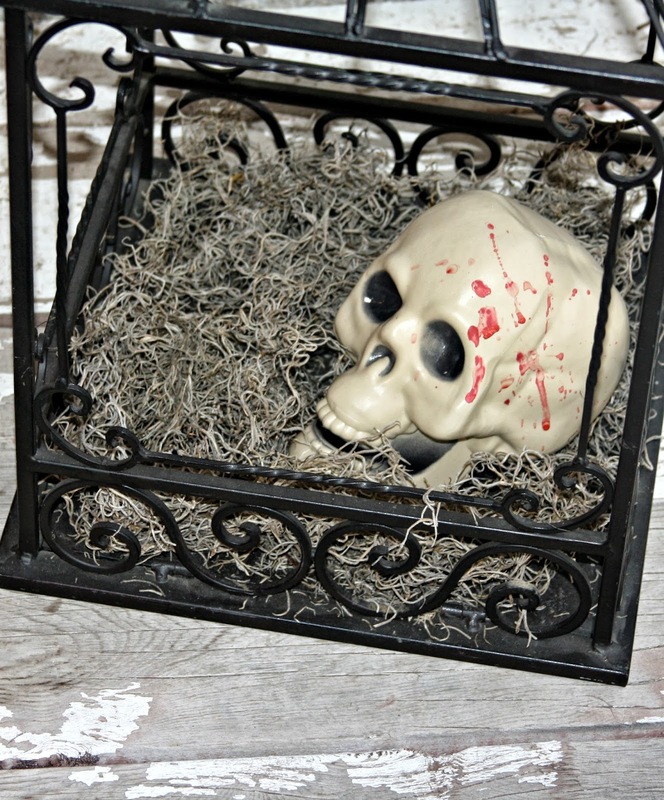 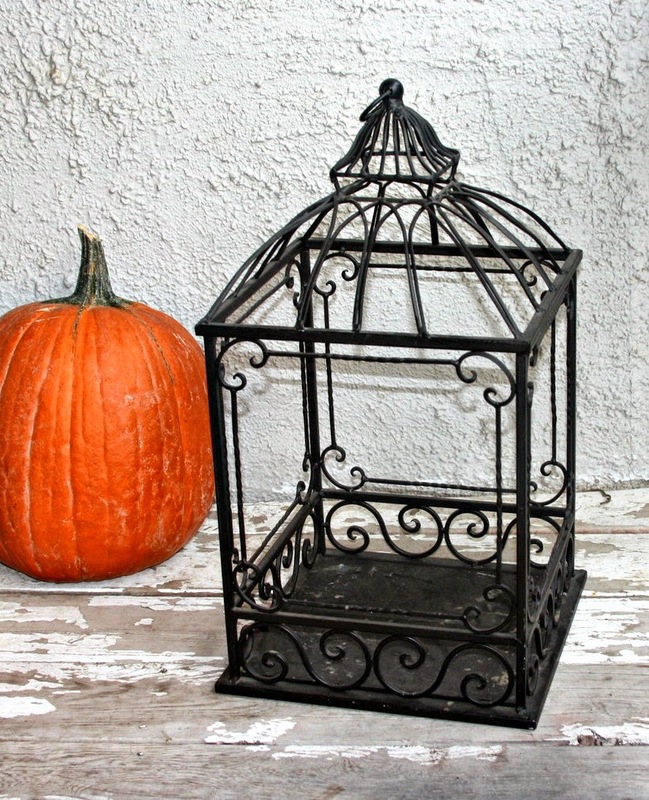 I was really lucky to have found this bird cage at a friends store and turn it into a fun Halloween decoration. I started with this awesome bird cage. 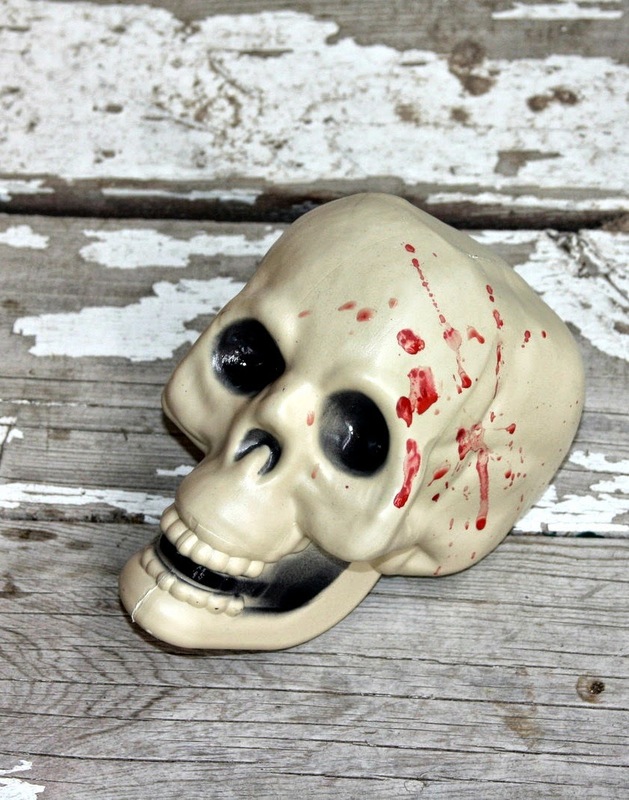 I also purchase a skeleton head from the dollar store and dripped a little fake blood on it. 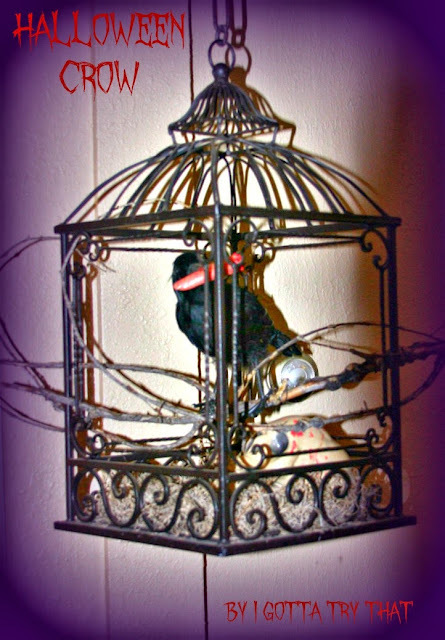 I added the head and some moss to the bottom of the cage. 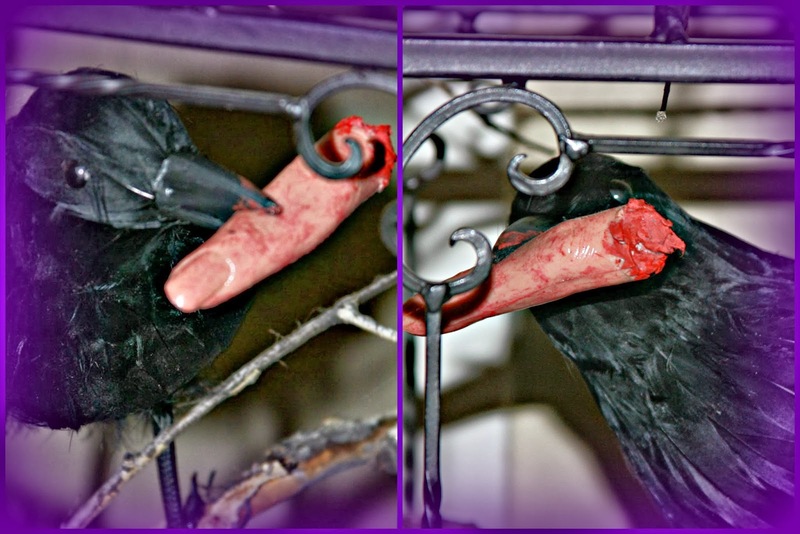 The last step was adding an old branch for my crow to perch itself on!